Barbara Kingsolver and Joni Mitchell have a lot in common – at least to me. I’m especially drawn to their early works. They’re prolific and both know the beauty of language. Even though they’re favorites of mine, it doesn’t mean I don’t see their foibles. Admittedly, it’s been a while since I’ve listened to anything by Mitchell, but I did just finish Kingsolver’s Flight Behavior. I pretty much read anything and everything she writes. Unfortunately, it didn’t wow me. It has plenty of descriptive images and the characters are interesting, but the story itself is just too predictable. Climate change is the driving issue with the theme of understanding the world around us. Dellarobia is a young mother of two in a lackluster marriage. Just as she is about to embark on an affair, she discovers monarch butterflies have blanketed the woods on the family land in rural Tennessee. This introduces her to scientists, the media, family secrets, and herself. Dellarobia’s an appealing character. She’s a good mother, but isn’t thrilled by being a wife thanks to her easy-going husband, Cub, and his willful, demanding parents. 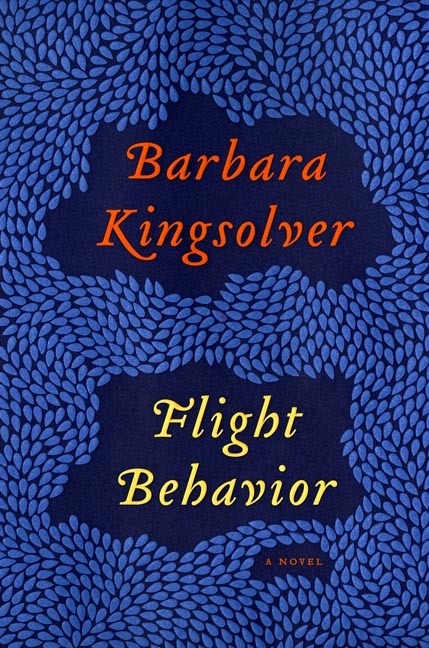 To counter the country folk, Kingsolver brings in the intellectual Ovid Byron, a researcher. The gist of the story can be found in the first and last chapters. The downside to only turning those pages is that you’d miss the imagery, sarcasm ascribed to some of the characters, and the magic Kingsolver has with words. Then again, you’d get to skip the preachy tone and predictability. It might be time to listen to Joni Mitchell again.